Healthy diet is the key to the healthy life. In this busy schedule people do not take proper diet, so to fulfill your body needs you need to have the health supplements, breakfast is most essential part of the diet, so you need to take the healthy breakfast but if you do not have the time, then you can have this St.Botanica Nutritional Meal Replacement Shake, this shake it good for your body and gives all the things that yout body demands. This product is manufactured under the GMP, FSSA and ISO certified facility. 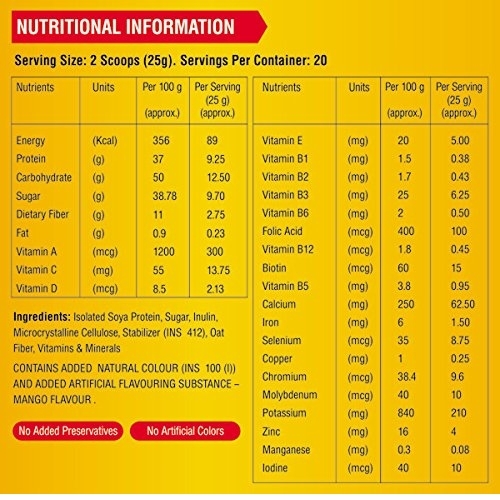 If has the 22 vitamins and minerals and you just need to take the 25 gm of the it and mix it with the skimmed milk, shake it well and enjoy it, the flavor is of rich mango and you will have the mango throughout the year. It can lasts upto 20 days. It has so many of the vitamins and other nutrients, here is the list of them. To give the performance in your work, then you need to have the energy. Morning breakfast is the best source of the energy for the day so if you take the St.Botanica Nutritional Meal Replacement Shake, then you will get the almost 90 kcal of energy in just 1 scoop. Protein content is also so high in this you will get almost 10 gm of the protein in just 25 gm of it, this will good for your body muscles. 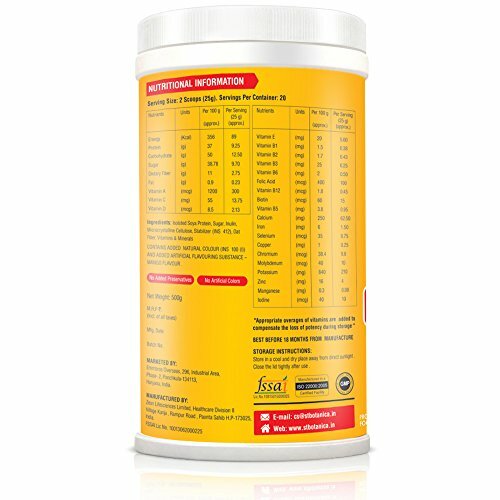 The best thing of the St.Botanica Nutritional Meal Replacement Shake is that it has the no content of the sugar in it, and fat content is very low just 0.23 gm in 1 servings. St.Botanica Nutritional Meal Replacement Shake has the 300 mcg of Vitamin A, 13.5 mg of Vitamin C and 2.13 of Vitamin D in it, all these vitamin fulfill your body needs. This is the most important nutrition that your body, normally you will get it from the grains. 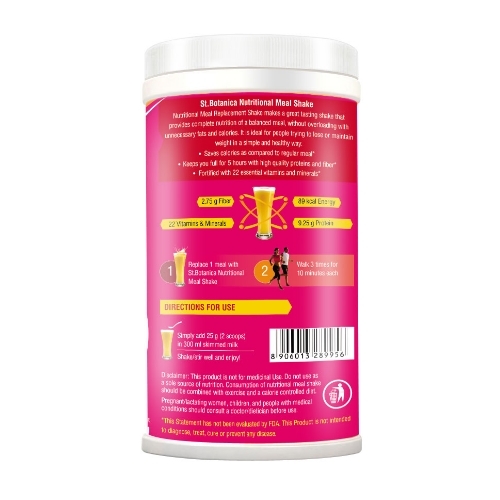 St.Botanica Nutritional Meal Replacement Shake has the 2.75 amount of the fiber in it. Obesity is the curse for today generation. 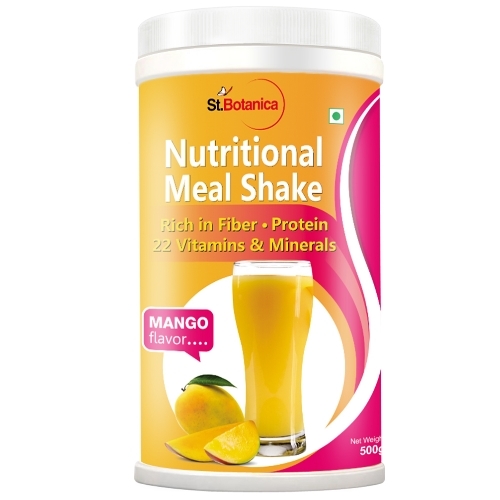 St.Botanica Nutritional Meal Replacement Shake helps you to maintain the body weight ration by providing you the essentials nutrients.